NVRA has reserved a block of rooms at the group rate of $108.00 plus tax. Reservations must be made by April 17, 2019 to qualify for this rate. Call 1-888-492-8847 and reference National Verbatim Reporters. Parking is available for $10 per day. Airport shuttle is available. Driving directions. Parking is free. Featuring the largest guest rooms in the French Quarter! Rooms have 12’ ceilings, complimentary super-fast internet, refrigerators and Keurig coffee makers. The hotel also has a pool and fitness center. Parking: $15.00 off valet parking fee of $42 per night for NVRA overnight guests. The Hyatt Centric is centrally located at the corner of Bourbon Street and Canal Street in the New Orleans French Quarter. Guests are steps away from Bourbon Street, a multitude of great restaurants, music and shopping. The Mississippi River, Harrah’s Casino, and Jackson Square are within easy walking distance from the Hyatt Centric. 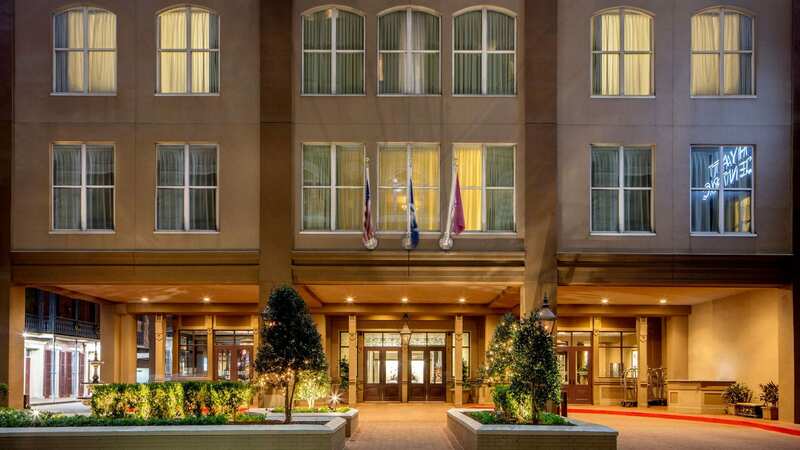 For room reservations, book online at https://embassysuites3.hilton.com/en/hotels/georgia/embassy-suites-by-hilton-savannah-airport-SAVAPES/accommodations/index.html. NVRA advances the understanding, practice, education and professional standards of verbatim reporters, CART providers, broadcast captioners and related professions by promoting ethical behavior, professional development, and educational opportunities.